Comments: BRAND NEW COPY, 15 EDITION. ''SEALED CD INCLUDED.'' AS PICTURED. NEVER BEEN USED. READY TO SHIP TODAY. WILL EXPEDITE. "" 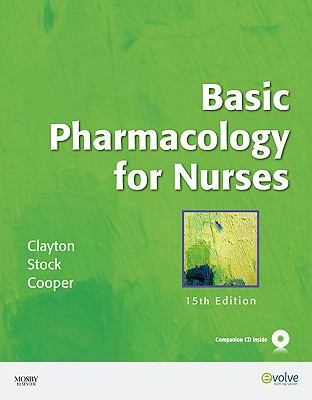 FREE DELIVERY CONFIRMATION""
Clayton, Bruce D. is the author of 'Basic Pharmacology for Nurses', published 2009 under ISBN 9780323057806 and ISBN 0323057802.